You are here: Home»Rear Naked Joke»Rear Naked Joke»UFC on Fox: Married with Children Returns! 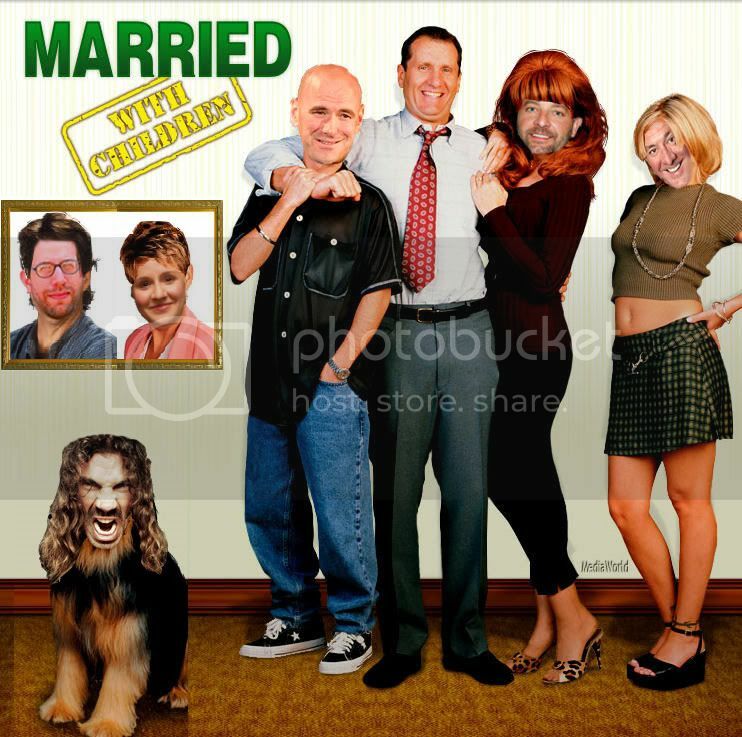 One of TV's most popular sitcoms, Married with Children, is back, thanks to the deal reached between the UFC and the Fox Network. The show was a staple for 10 years, from 1987 to 1997, and has become a television cult icon. Ed O'Neil played Al Bundy, and will be returning to that role in the new version of the program. He is the only cast member returning to series. O'Neil, a blackbelt in Gracie Jiu-Jitsu, is happy to be back playing the character that made him famous. "It's a beautiful thing," he said at a press conference announcing the new program. "I haven't had my hand down my pants for years. I miss my nut sack." UFC personnel will round out the cast. The part of Peggy Bundy will be played by UFC CEO Lorenzo Fertitta. Brother Frank will play sister Kelly, and Dana White has been cast as Bud Bundy. Neighbors Marcy D'Arcy and her husband Jefferson will be played by top MMA reporters Loretta Hunt and Josh Gross, who have recently been welcomed back into the UFC fold, as we reported yesterday. Buck Bundy will be played by UFC lightweight contender Clay Guida. When asked about his acting experience, Guida made a sound which seemed to be half-belch and half-bark. He appears to be a natural for the role. Filming is underway, and the show is expected to debut this September. We'll have more on this momentous story as it develops.